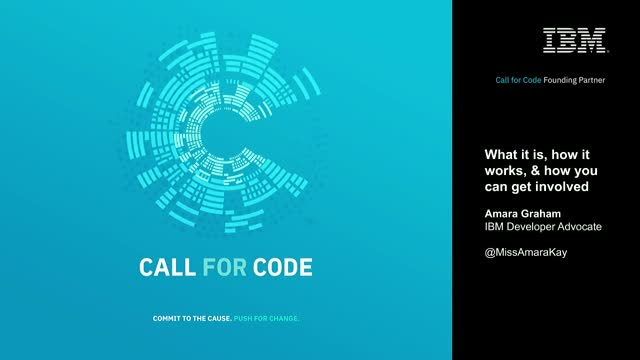 Join Amara Keller, Developer Advocate at IBM, to find out what Call for Code is, how it works, and how you can get involved. Amara is a Developer Advocate with IBM. Before her step into developer relations, she was an enterprise web application developer focusing on line of business applications and assisting developers across various teams on implementing proprietary and open source solutions. She’s passionate about UX, technical communities (both online and offline) and excited to see where advances in AI take us. In her spare time she experiments in the kitchen and plays console video games.